“That’s where I wanna be, rooted and grounded in Thee. Be steadfast and unmovable, always abounding in the word of God. All other ground is sinking sand, that’s why on Christ the solid rock I stand. Like the tree in the book of Jeremiah, may you remain fearless when the heat comes and may you be without worry in times of drought. Stay rooted in Him and experience the many blessings He has for you because for as long as you remain faithful and your roots get watered, you will be strengthened and live life abundantly. My prayer for you is that you will remain rooted in Christ, the most nurturing of foundations. “Remain in me and I in you… apart from me you can do nothing” (John 15). “That’s Where I’ll Be” can be found on Amazon and iTunes. 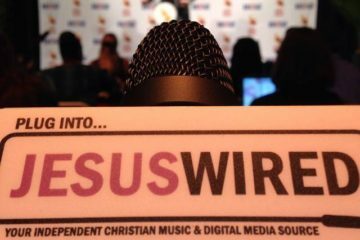 Check back next Thursday for another Gospel Rewind.